Our recommendations | Samtpfoten Neukölln e.V. CATS LOOKING FOR A HOME! 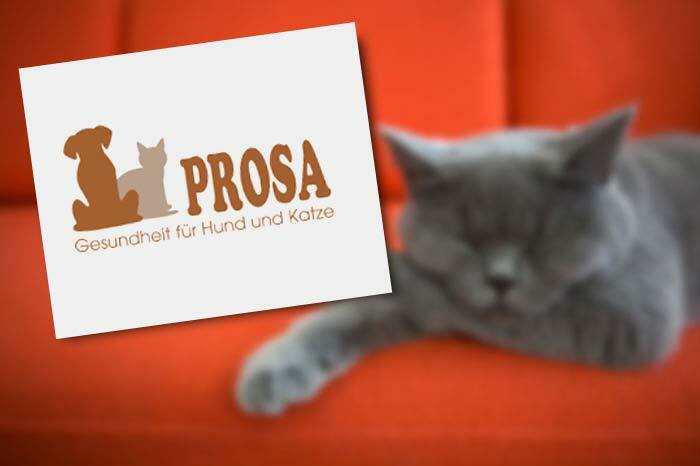 According to our experience, PROSA is one of the best cat foods and we feed it to our Samtpfoten cats: high quality food, delivered straight to your home for a reasonable price. It is grain-free and contains no preservatives or additives, no meat-, blood- or bone meal, no attractants or protein substitutes – in short, it contains none of the substances that in our view don’t belong in any cat food anyway! Its producer sticks to ethical principles and supports Samtpfoten and other small shelters rather than spending money on elaborate marketing campaigns. So if you order PROSA, you indirectly also contribute to the protection of animals. Here’s the link to the PROSA online shop. Please don’t forget to mention Samtpfoten when ordering Prosa. At Pet-Fit you can order first-class species-appropriate food, completely free of chemical substances and added vitamins. You can also order ‘Möhrengranulat’ (granulated carrots) there, which we recommend if your cat has diarrhoea. Order online (we can provide you with a special acces) and have your cat food delivered to your home. Some cats are fussy about food. If your cat belongs to that category we can recommend Reico as an alternative to Prosa. It is also a very high-quality cat food that meets the high demands we place on cat nutrition. Whether you choose Prosa, Reico or the food offered at Pet-Fit, you make the right decision for your cat’s well-being. We look forward to your feedback. And if you need advice on the quality of cat food, the process of switching cat food or any other topic to do with nutrition and health, please do not hesitate to contact us. 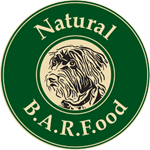 ‘BARF’ stands for ‘Biologically appropriate raw food’ – in our view the best and most natural food you can offer your cat or dog. At b.a.r.f.ood in Berlin-Wilmersdorf you will get first-class advice on feeding a BARF diet. Sylvie Kromm and Nina Jeschke are non-medical practitioners that we’ve worked with many times. Patients can be treated at home or in their rooms on Kottbusser Damm 75 (10967 Berlin, Phone 030 / 87 330 787). There are two conventional vets that treat our cats, which gives us the opportunity to get a second opinion if necessary. We appreciate a good and trustful collaboration with veterinarians and this works very well with our two vets. They are not only highly competent vets, but also very willing to explain and discuss the treatments they suggest. Susanne Hochstraßer (Tierarztpraxis am Rollberg) is our mobile vet who looks after our cats in the shelter. She will treat your cats exclusively in your home. Phone 030 / 680 535 27. Our second vet is Dr. Hartmut Schingnitz, whose surgery is in Wissmannstr. 1 (12049 Berlin, near Herrmannplatz, Phone 030 / 622 62 88). We go there for stationary treatments, and his friendly staff always makes us feel very welcome. For dental treatment, vets need to be highly specialized, especially with diabetic animals. Our first choice is Dr. Helmut Rux, one of the vets at Tiermedizinzentrum Berlin, which also boasts an excellent team (Kufsteiner Str. 22, 10825 Berlin, Phone 030 / 854 20 50). Peter Krajewski (Traumvolieren) constructs made-to-measure aviaries for a reasonable price – see for example the aviaries in our shelter. Whatever the situation is like in your place, Peter will find a solution for it. Hoffmann-Reysner GbR has been our partner for protective nets for years. They offer high quality standards for reasonable prices – a long list of satisfied customers comes as no surprise. First choice. Scratching posts may all look the same but there are huge differences in quality. If you’ve made the mistake of buying a cheap one, you will probably agree. We recommend Wolfgang Kipping’s Kratzbaumland. Here you will find good to superior qualities for a reasonable price. Kratzbaumland also offers individual solutions for your home; you can get spare parts, scratching posts made from tree trunks or you can have them wrap your post with new sisal. Kratzbaumland is also a local dealer – another reason for supporting them. If you are going away on holiday or on a business trip, you need to be sure that your cat or other pets are well looked after during your absence. We recommend Marion Jerlich’s 4 Pfötchen & Co., a very competent pet care in Berlin. From feeding and cuddles to administering of medicine, if necessary also special treatment for diabetic cats (i.e. measuring of blood sugar and giving injections) – Marion offers a reliable and competent service while you’re away. It may take some time before cats learn how to climb down a tree backwards. At some stage the situation may become so tricky that you need help to get your cat down on the ground again. Marco Olbricht, a cat guardian himself, has the necessary equipment and experience to help you in such a desperate situation. Besides the professional rescue service we also like his reasonable prices.